Calcium Chloride Hexahydrate is used in the pharmaceutical industry as well as for passive cooling applications as a latent heat energy storage material. We expertise in the manufacture of CaCl2.6H2O and are totally equipped to offer the best grade for latent heat storage applications with user-specified melting temperature (m.p.). CaCl2.6H2O EXTRA PURE; A. R. MERCK SPECIFICATIONS. We have actively assisted Dissolved Acetylene Gas manufacturers and developed the right grade of CaCl2 which drastically reduces the Poisoning of Cylinders. This grade of CaCl2 can also be used for desiccating other gases. We have actively assisted several Solvent manufacturers, Dissolved Acetylene Gas manufacturers and developed the right grade of CaCl2 which drastically reduces the Poisoning of Cylinders. Grades suitable for any density of Solvents, for use in Azotropic or Azeotropic Distillation Desiccation Hydrocarbon Drying and Drying of any type of Gases are offered. 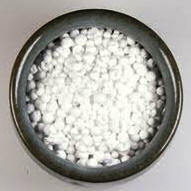 Our group was a manufacturer of Heat-treatment Salts, manufacturing under Die-Hard brand name. We are totally equipped to offer the best grade of CaCl2. Our association with Cement Paint manufacturers is since last 35 years. We can suggest the best and/or economical grades of CaCl2 for Cement Paint Industry. Use of 2% CaCl2 in Cement or Cement Paint is very beneficial in getting good hardness in very less time of curing. 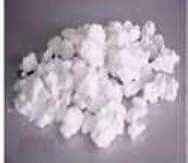 A quickly soluble grade is offered for this use. A Brine may be defined as liquid of low freezing point used in transmission of refrigeration without change of state. The brines commonly employed in refrigeration are Calcium Chloride CaCl2 and Sodium Chloride. Sodium Chloride is cheaper but cannot be used below minus 15C. CaCl2 of commercial grade can operate satisfactorily up to minus 40C. Use of CaCl2 above 33% should be avoided as it results in crystallization resulting in reduced efficiency. The CaCl2 selected should be adjusted to pH of around 8 and it should be free from free-acid and dirt. Colored material should not be used as it results in corrosion and scaling of the tubes. For the same reason by-product CaCl2 is not desirable as it contains Organic Chlorides which may break into Hydrogen Chloride.